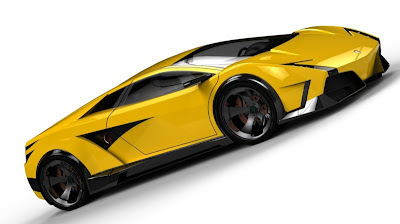 Designer Flavio Adriani has created the Lamborghini Concept EV as a tribute to the man who changed everything about sportcars, Ferrucio Lamborghini. 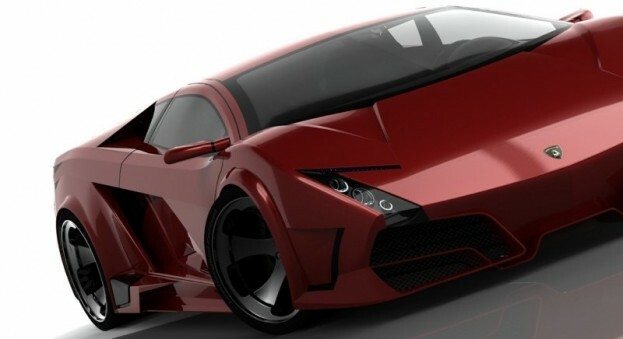 The design, the lines, the impact of the car derive from a combination of the Diablo and Gallardo. 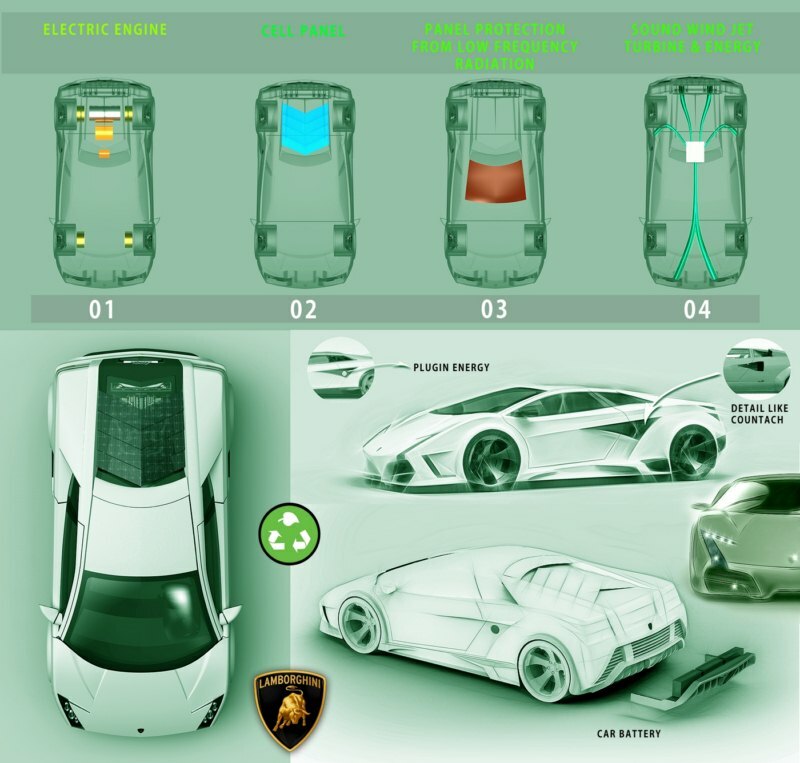 The concept is not just about passion for Lamborghini, it also is equipped with the latest technology regarding the drive train, pollution, energy saving and passenger safety. The car has an electric drive train with high powered in-wheel motors in each of the 4 wheels that allow active vehicle dynamics control and maximum regenerative braking. 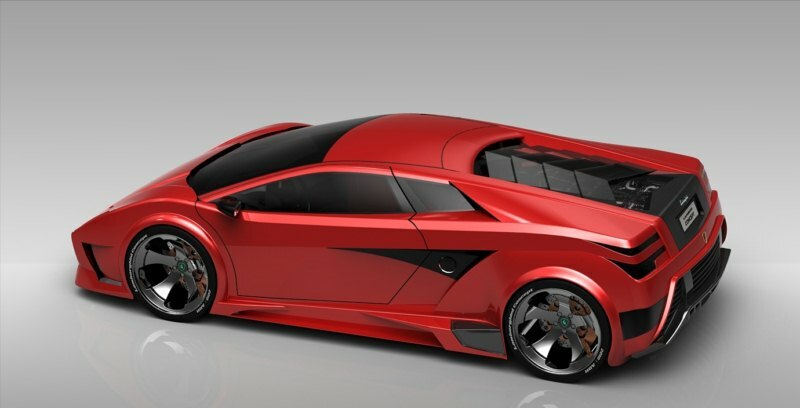 The battery pack is mounted low within the rear diffuser and recharging is available via plug-in and/or solar panels mounted over the engine compartment. These panels are V shaped, giving the car a more aggressive look. The designer also fitted a panel protecting passengers against low frequency radiation. This radiation comes from mobile phones, antennas and other wireless devices. These radiations have proven to be dangerous to human health bringing headaches, cancer and more. For Flavio Adriani, the greatest challenge designing this electric Lamborghini was, how to bring the amazing sound of the engine that has been removed. The solution he found are wind turbines. The air enters the tubes through the front bumper and makes its way to the central turbine which gives it a jet engine sound. Would be possible to use those sound turbines to produce more electric energy, instead nostalgic noise? How ridiculous. Purposely making noise, and wasting energy. And the harmful affect of the radiation from mobile phones is still just an urban legend. It would be pointless. Because it would waste more energy with its wind resistance then it would generate.